In the year of 1994, a mass slaughter took place in Rwanda of the ethnic Tutsi and politically moderate Hutu people. Rwanda was a small country with a strong agricultural economy. At the time of Rwandan Genocide, this country had one of the highest population densities in Africa. More than 800,000 Rwandan people were killed in just 100 days. The majority of the dead people were Tutsis. The people who were behind this illegal and immoral act were Hutus. People who belong to the Hutu ethnic group were traditionally crop-growers. There have always been disagreements between the two communities Hutu and Tutsi. Rwanda was placed under Belgian administration when during the World War I, Germany lost possession of the country. A group of Tutsi expatriates formed a rebel group named as The Rwandan Patriotic Front. This rebel group RPF Came to Rwanda in 1990 and fought until a peace deal was done in 1993. Rwandan Genocide was initiated by the death of Rwandan President Juvenal Habyarimana whose plane was shot down on April 6, 1994. He belonged to Hutu community. New President Paul Kagame was blamed for this by a French judge. 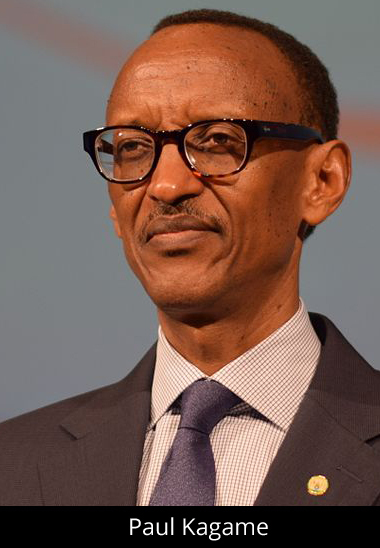 Kagame was the leader of the Tutsi Rebel group. Hutu extremists started a well-organized campaign of killing Tutsis after the death of Juvenal Habyarimana. Two Hutu radical militant groups the Interahamwe and the Impuzamugambi were responsible for this genocide. Declan, Tobin. " Facts about Rwandan Genocide ." Easy Science for Kids, Apr 2019. Web. 18 Apr 2019. < https://easyscienceforkids.com/rwandan-genocide/ >.